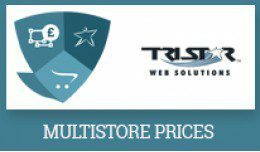 Multi-store pricing module for OpenCart is a module that allows you to have different base pricing across multiple stores with as many stores as you wish and works on OpenCart 2 and above. Add a price for each product for each additional store. 1. You can only set one price per store - the first row for each store is the one that will be stored. 3. Some themes do not use the standard opencart database queries for retrieving prices - Journal Ajax pricing for example - please contact us for a quote to make the required changes for your theme if required.